I have a love hate relationship with Yorkdale Mall. I hate it because it is hard to go there without buying something that I really don’t need. Malls truly are an example of excess consumption. Nevertheless, I also love Yorkdale it because it can be a good place to walk and entertain the kids on brutally cold winter days or scorching hot summer days. Last week I found myself checking out the new expansion at Yorkdale. There are a number of brand new stores, including the North Face, Kate Spade and Ann Taylor. There are also a number of stores that moved to new space in the expansion, including two of my favourites, Club Monaco and Lululemon. 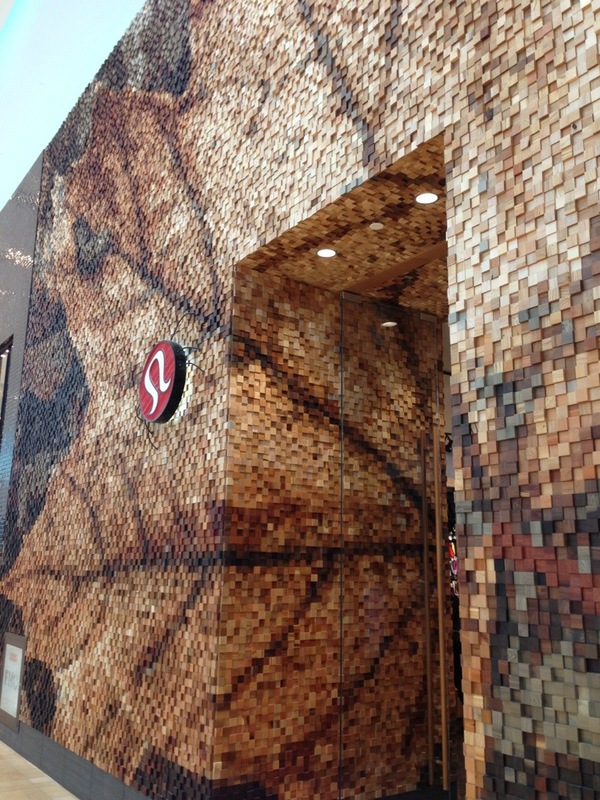 I was really struck by Lululemon’s new facade. There are no windows and no mannequins. Instead, the entire facade is a 3D mosaic made out of 35,000 small wooden blocks, that when viewed together look like a maple leaf. These wooden blocks come from over 20 different species of trees. They are leftovers from the workshop of Brothers Dessler, two Toronto woodworkers. It is really not often that the facade of a store is worth talking about, but I really feel like this is something special to see. The Brothers Dessler hope their mosaic creates a moment of reflection, rather than consumption. That is difficult to achieve in a mall, especially during the holiday season. I hope that it works for the many people who walk by the store in the upcoming weeks. 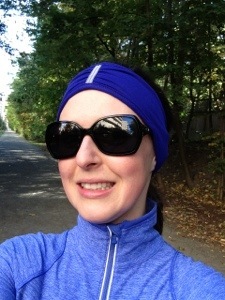 Categories: NaBloPoMo, Running, Yoga | Tags: Lululemon, Yorkdale | Permalink.